HIYA!! Evidently, I'm back from my mini vacation. Of course, no one wants to end a vacation, yet here we are. DC was great, but now it's back to business. It is, once again, that dapper time and I'm on my worst behavior. Remember? This #ootd is about humbleness. I'm wearing dark denims with a navy-striped sweater. 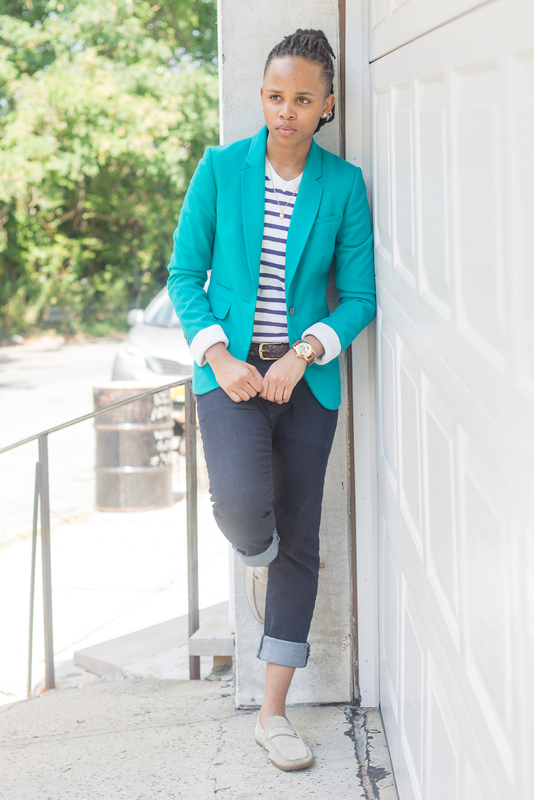 I chose the teal blazer to add some vivacity to the ensemble. Off-white loafers pair well with the sweater while evenly contrasting the jeans. This story is that of no matter how far I go or how high I reach, I choose to remain humble.